Mary Charlebois, is a freelance journalist/photographer/editor. Her home base is Fort Bragg, California on the wild, remote, Mendocino Coast. Her writing and photography is published in print and web. 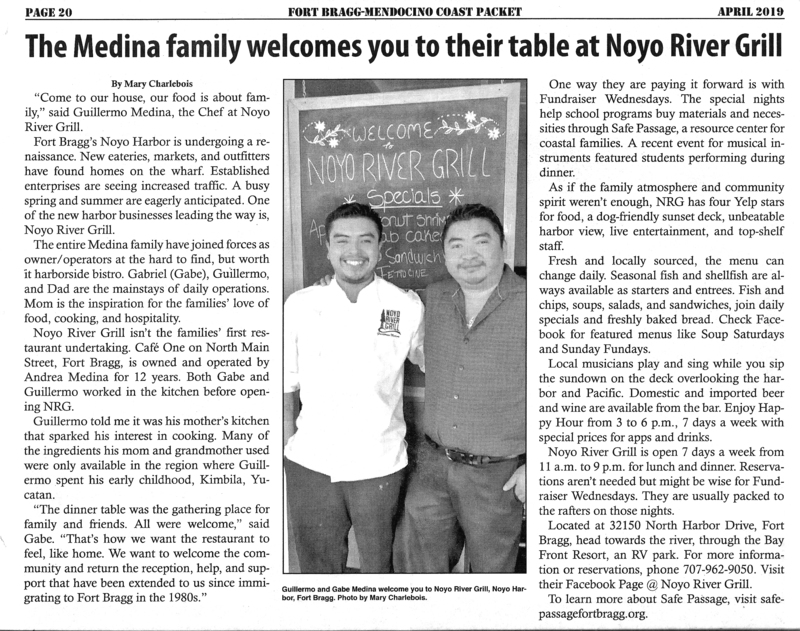 “Come to our house; our food is about family.”, says Guillermo Medina, the Chef at Noyo River Grill. Fort Bragg’s Noyo Harbor is undergoing a renaissance. New eateries, markets, and outfitters have found homes on the wharf. Established enterprises are seeing increased traffic. A busy spring and summer are eagerly anticipated. One of the new harbor businesses leading the way is, Noyo River Grill. Hot springs and baths soothed the aches of Romans. Jane Austin and her cast of characters came “to take the waters.” Bath is a legendary place in English history standouts still in the modern day. The sun rises over Pine Mountain. A dense layer of fog veils the end of San Simeon Pier. It’s mesmerizing as the fog retreats, and the beach comes to life. Gulls glide over thermals, then perch on wood pilings. Their penetrating calls will wake nearby campers. Did you know Mendocino was once known as ‘the town of water towers and windmills?’ How about why Mendocino looks like a New England village? Who was the first European settler? Have you heard about eleven-year-old Daisy Kelley McCallum’s acts of heroism? 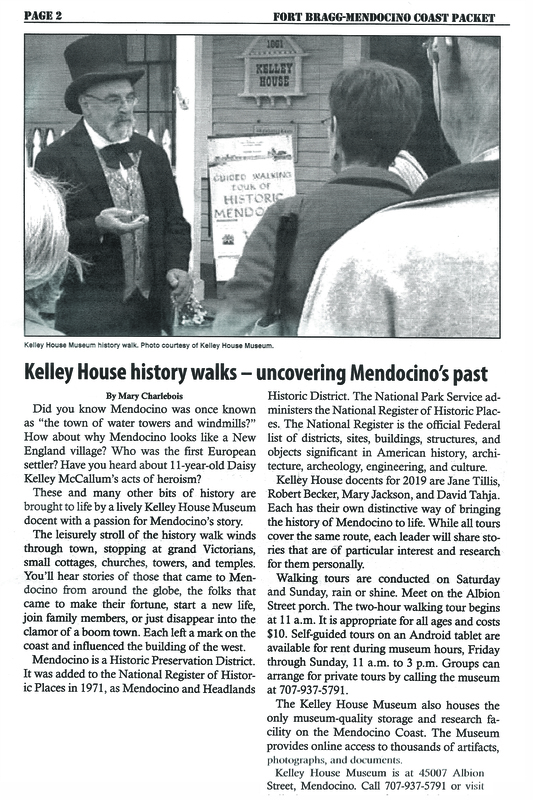 These and many other bits of history are brought to life by a lively guide with a passion for Mendocino’s story. Kelley House Docents conduct weekly tours of historic downtown. Around the market square, in the shadow of the castle, small shops are preparing window displays for the day. The air is filled with the aroma of breakfast meats cooking and bread baking from cafes and bakeries. The fog and marine layer suddenly rolled out to sea just before our 10 AM departure from the tiny yellow Garibaldi station. A ride behind a historic steam engine along Oregon’s Tillamook coast would have perfect weather.